Go to… Go to… Home Featured Listings - Open Houses Search for Homes - Advanced Search - Map Search - Foreclosures - Commercial Search - Waldorf Homes - Waldorf up to $250,000 - Waldorf From $250,000-$500,000 - Waldorf From $500,000 and up - La Plata Homes - La Plata $250,000-$500,000 - La Plata $500,000 and up - Port Tobacco Homes - Port Tobacco Under $500,000 - Port Tobacco Over $500,000 - Hughesville, MD - Hughesville up to $250,000 - Hughesville $250,000-$500,000 - Hughesville $500,000 and up - Indian Head Homes - Indian Head -$250,000 - Indian Head $250,000 and up - Bryans Road Homes - Bryans Road Up to $250,000 - Bryans Road $250,000 and up - White Plains Homes - White Plains up to $250,000 - White Plains $250,000 and up - La Plata Up to $250,000 Buyer/Seller Info - Mortgage Rates - Schools - Relocation - Weather About Me - Testimonials Contact Me - Dream Home Finder - FREE Market Analysis - Real Estate News!!! Gratitude is the Best Attitude! PRICE DROPPED AND SELLER SAYS SELL! Seller will look at ALL reasonable offers. Tenant upstairs is on a month to month basis so if you need an in-law suite with your home... this is it. If you want to be a landlord, ask me how to use an already in place cash flowing income to qualify for FHA financing on this home w/in-law suite above the garage that has 3 bdrm, 1 full bath, kitchen, living rm, sep entrance & utilities. Main level with 3 bdrm 2.5 ba, living rm, family rm, loft (could be 4th bdrm) fenced yard & in-ground pool. 5 car garage for the mechanic w/walk under pit & workshop. Seller will guarantee the opening and running of the pool, so what are you waiting for? Get moving before summer hits. Priced below appraised value. 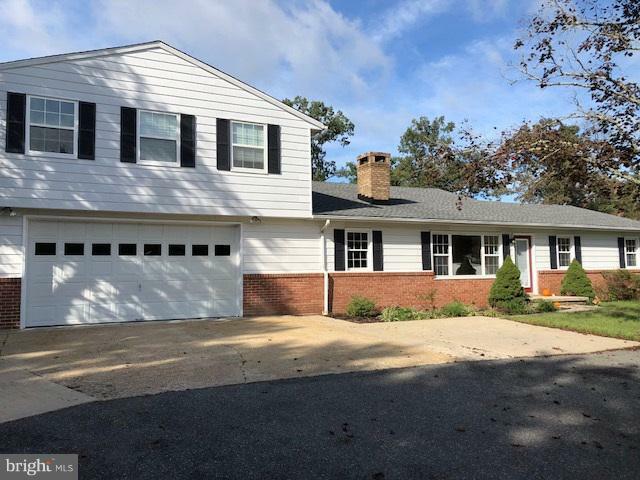 Home | Open Houses | Search for Homes | Advanced Search | Map Search | Foreclosures | Waldorf Homes | Waldorf up to $250,000 | Waldorf From $250,000-$500,000 | Waldorf From $500,000 and up | La Plata Homes | La Plata $250,000-$500,000 | La Plata $500,000 and up | Port Tobacco Homes | Port Tobacco Under $500,000 | Port Tobacco Over $500,000 | Hughesville, MD | Hughesville up to $250,000 | Hughesville $250,000-$500,000 | Hughesville $500,000 and up | Indian Head Homes | Indian Head -$250,000 | Indian Head $250,000 and up | Bryans Road Homes | Bryans Road Up to $250,000 | Bryans Road $250,000 and up | White Plains Homes | White Plains up to $250,000 | White Plains $250,000 and up | La Plata Up to $250,000 | Mortgage Rates | Buyer/Seller Info | About Me | Contact Me | Real Estate News!!! © 2019 BRIGHT, All Rights Reserved. Information deemed reliable but not guaranteed. The data relating to real estate for sale on this website appears in part through the BRIGHT Internet Data Exchange program, a voluntary cooperative exchange of property listing data between licensed real estate brokerage firms in which Remax participates, and is provided by BRIGHT through a licensing agreement. Real estate listings held by brokerage firms other than Remax are marked with the IDX logo and detailed information about each listing includes the name of the listing broker. The information provided by this website is for the personal, non-commercial use of consumers and may not be used for any purpose other than to identify prospective properties consumers may be interested in purchasing. Some properties which appear for sale on this website may no longer be available because they are under contract, have Closed or are no longer being offered for sale. Some real estate firms do not participate in IDX and their listings do not appear on this website. Some properties listed with participating firms do not appear on this website at the request of the seller. Data last updated on 2018-05-30.